The best GPS tracking systems in New Zealand can only be offered by professional fleet management hardware and software providers. There are a number of reasons why you should rely on a professional company to give your fleet the security it needs. A company that makes it their business to know GPS tracking systems and remain up to date with the latest technology as it is released to the market. trackers are not only suited to the commercial sector. 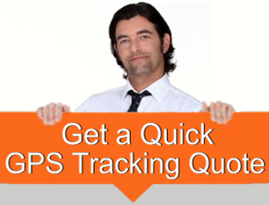 Private individuals are also taking up the GPS tracking option for a number of reasons including those mentioned above. For those team members that are out on the road in your vehicle(s), you need to be satisfied that they will never sleep on the job or take those unnecessary detours while en route. Moreover, as the economy is really beating down on us, a GPS system won’t allow you to waste even an ounce in fleet fuel because the monitoring software receiving data from the onboard vehicle tracking devices go beyond just the GPS tracking of all your vehicles ….. they include fuel consumption gauging. So, there comes a time when you are the one that can really take a snooze as you let a software tracking system go to work. Vehicle tracking software will stay alert and watch the vehicles on the road. And when there are unscheduled deviations or excessively long stops, the software will alert you. You can definitely kill two birds with one stone by installing a state of the art GPS system in all your fleet vehicles. No one steals from you, misuses your vehicles plus you can keep your fuel gallons running before you make the next refill.